Brescia, April 24 - A young man in northern Italy was crushed to death Thursday by a falling crucifix that was built to honor pope John Paul II's 1998 visit to Brescia. The 21-year-old's death comes just three days before John Paul will be canonized in Rome. 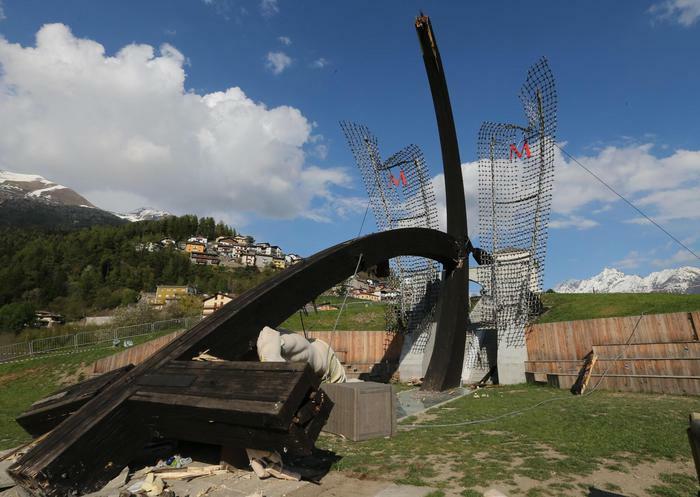 The accident occurred in the town of Cevo, outside Brescia, where the 30-meter-high sculpture stood outdoors near the Alps. Its unusual, curved shape meant that the figure of Christ was facing straight down, parallel with the ground below. Witnesses said the victim, part of a visiting group of young Catholics, was killed instantly, whereas another person was taken to hospital for minor injuries. The artist behind the cross was the late set designer Enrico Job, the husband of celebrated Italian filmmaker Lina Wertmueller. What a weird shape, it was bound to fall. 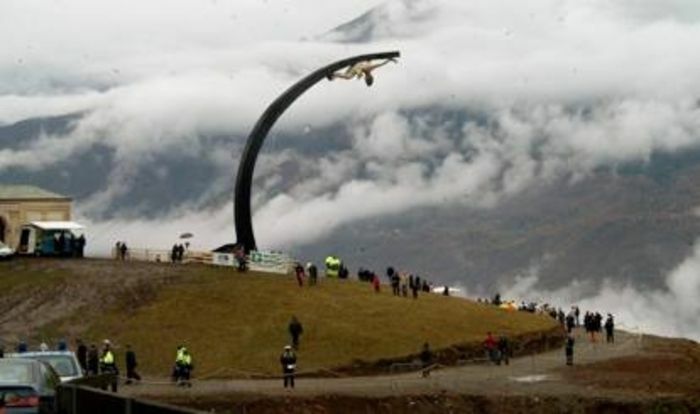 Imagine, your last glimpse of life is a 20ft 1300lb sculpture of Jesus hurtling towards you from above! I can only hope that when he gets to the pearly gates he says to St Peter "Christ! What hit me?" and Peter simply replies "yes it was". Jesus Christ struck them down. In a strange twist, it emerged that Gusmini lived on a street named after another Pope — Pope John XXIII — who will also be canonized on Sunday.